The idea for a neighborhood swimming pool originated with Helen Paterson, wife of Dave who was supervisor of outdoor horticulture at Longwood Gardens, and Mary Ellen Snyder, wife of Clarence who was the organist at Longwood Gardens. Helen and Mary Ellen co-chaired a committee comprised of Doris and Paul Mehne, Janet and Al Ringstrom, Frank and Jean Oakenfels, Ginny and Earl Germond, Hedy and Walter Knoth and Bess Hunt. The committee worked through 1958 and the pool construction commenced in 1959. Jack Merrick (Kennett Lawyer) and Bob O’neill were the first pool managers. Paul Mehne and Dave Paterson served as the Real Estate committee, researching and purchasing the property. Doris Mehne and Bess Hunt were on the membership committee canvassing Kennett Towship, Kennett Borough and adjacent Pennsbury Township for prospective members. Throughout the summer, the Green Woods Club offers swim lessons and many social events for families & children. During June and July, our swim team is fun for children of all ages. 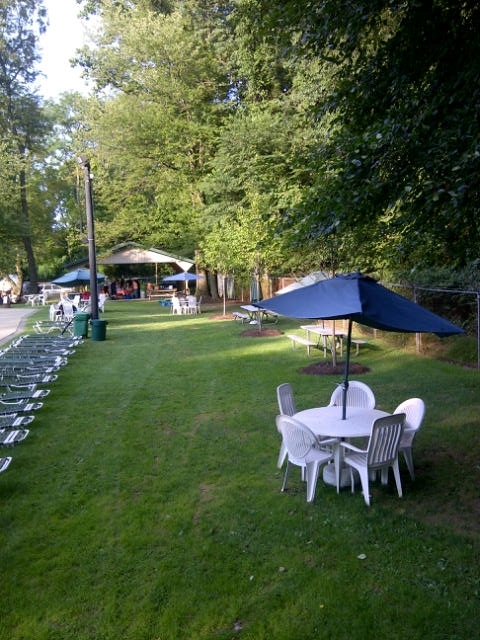 The Green Woods Club is located 100 yards south of the intersection of Route 1 and 52, close to both Chadds Ford and Kennett Square. We are accepting membership/wait list applications today. So don’t delay, come and join us for a fun filled summer at the Green Woods Club!